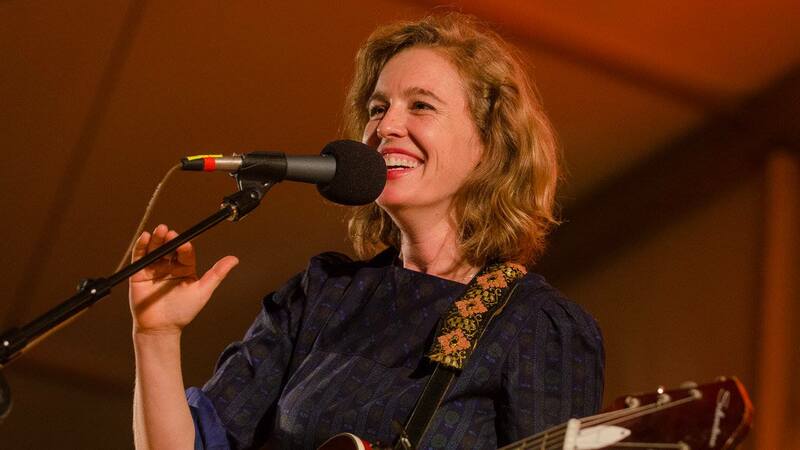 Tift Merritt is a Grammy-nominated songwriter who wanted to be a writer until her father taught her guitar chords and Percy Sledge songs. The New Yorker has called Tift Merritt “the bearer of a proud tradition of distaff country soul that reaches back to artists like Dusty Springfield and Bobbie Gentry.” Emmylou Harris calls her a diamond in a coal mine. In her nearly twenty year career, she has released 7 albums of original material and toured with bands as varied as Iron & Wine, Nick Lowe, Mary Chapin Carpenter and Gregg Allman. She has collaborated with classical pianist Simone Dinnerstein and played harmonic foil for Andrew Bird in his old time band, Hands of Glory. Her television appearances include Austin City Limits and the Grand Ole Opry. NPR has featured her work on Morning Edition, All Things Considered, Talk of the Nation, and Weekend Edition. 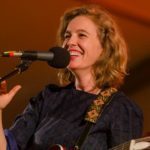 The Washington Post writes, “Tift Merritt is working in the tradition of Joni Mitchell, James Taylor and Leonard Cohen.” Don Henley, with help from Mick Jagger, kicks off his latest album with a cover of her song Bramble Rose. A regular contributor to the Oxford American, Tift is also curator of its statewide celebration of music for its upcoming issue featuring North Carolina. She was honored as a Distinguished Alumna at UNC in 2018.